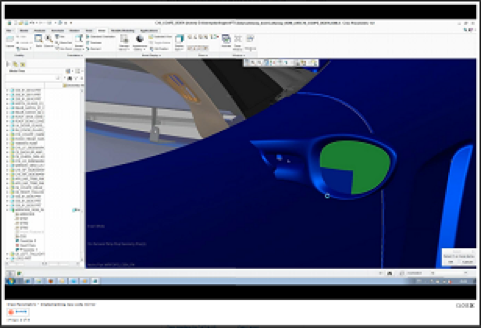 Creo 2.0 is the latest release of PTC’s design software. It brings together the best practice from Pro/ENGINEER, CoCreate, and ProductView, and improves your design capabilities. Creo gives you a reliable experience, with everyone working on design projects able to work together with ease. Creo 2.0 is the most advanced CAD, CAM, CAE solution from PTC. Using Creo gives designers and engineers the tools to answer their most challenging product development obstacles. It allows them to quickly develop new ideas and products. Creo offers improved flexibility in design, while also increasing the power and performance. To talk about your needs or discuss any questions that you have about Creo 2.0, contact Honeycomb Solutions now.